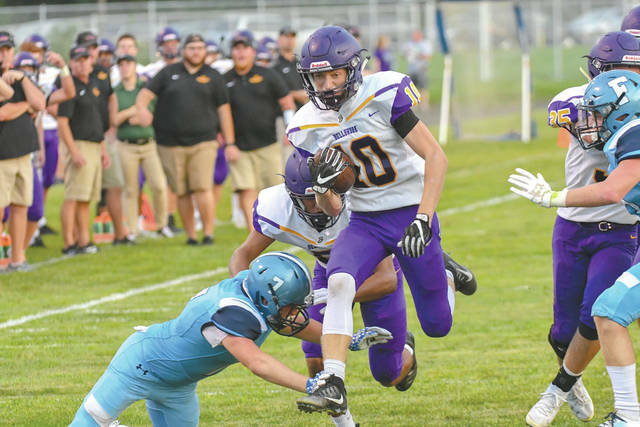 Bellbrook sophomore quarterback Alex Westbrock runs for a long gain in the first half of Friday’s Aug. 31 high school football game at Fairborn Memorial Stadium. 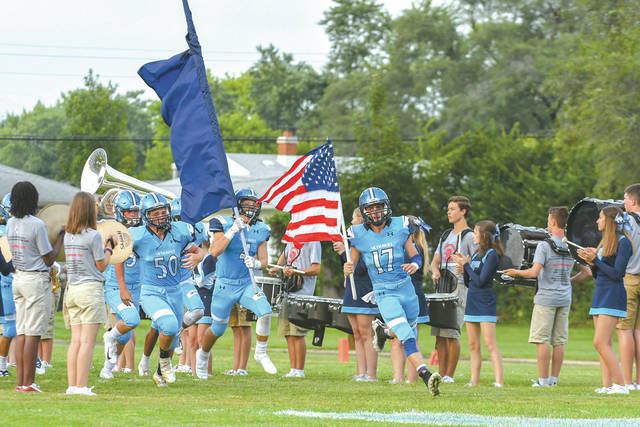 Fairborn seniors Auburn Rose (17) and Trey Long (4) lead the Skyhawks out onto the field for Friday’s Aug. 31 high school football game with visiting Bellbrook. 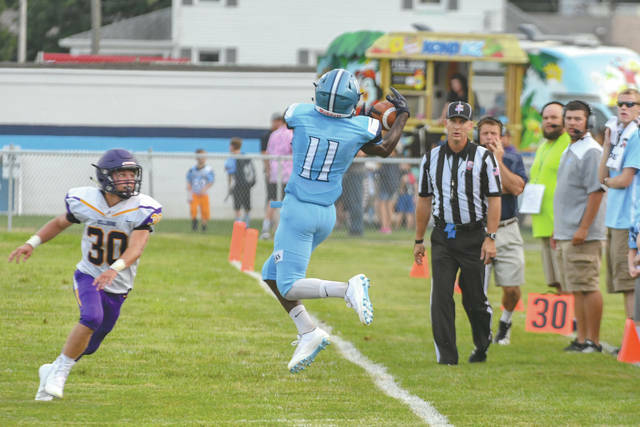 Skyhawks wideout Richard Peterson grabs a pass reception as Bellbrook junior defensive back Sam Sherrill closes in, Aug. 31 at Fairborn Memorial Stadium. 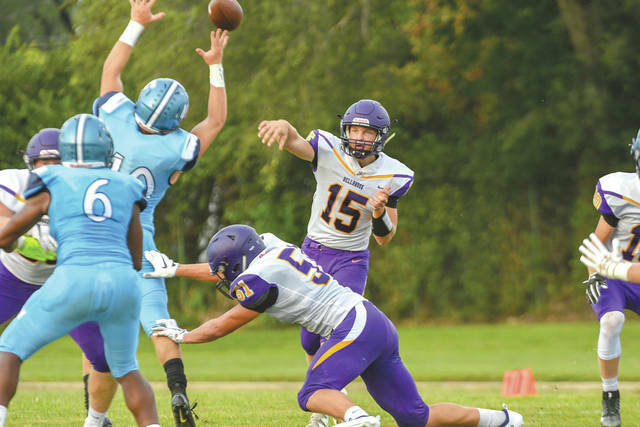 Bellbrook quarterback Brendan Labensky throws a pass over the Fairborn defense, in first-half high school football action Aug. 31 at Fairborn Memorial Stadium. 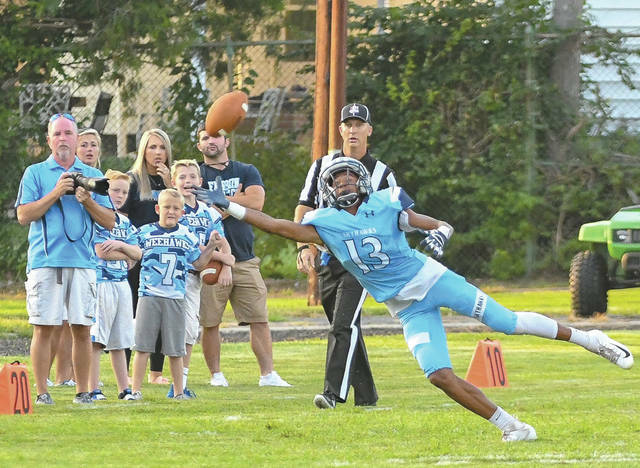 Fans gasp as Fairborn defensive back Dwight Lewis makes a dive for a pass in the first half of Friday’s Aug. 31 home game against Bellbrook. 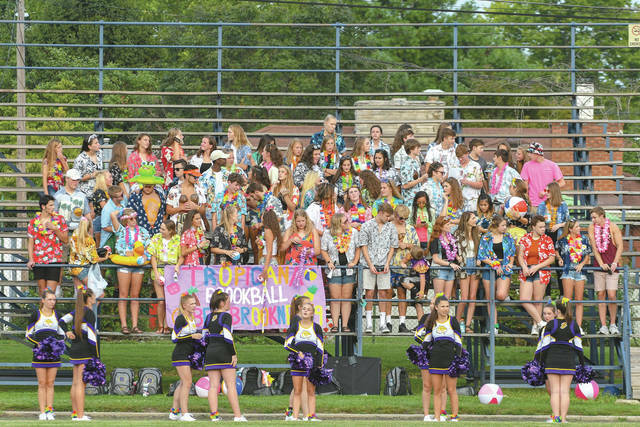 It felt like balmy, tropical weather, so the Bellbrook student section made it their theme Friday Aug. 31 at the high school football game in Fairborn.